In 1856 eighteen-year-old English chemist William Perkin accidentally discovered a way to mass-produce color. 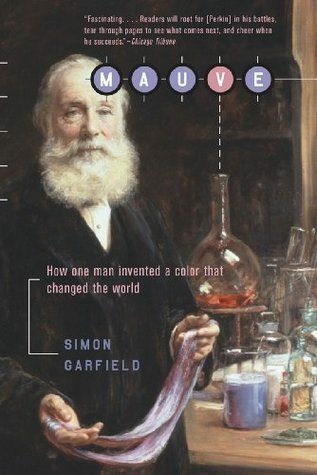 In a “witty, erudite, and entertaining” (Esquire) style, Simon Garfield explains how the experimental mishap that produced an odd shade of purple revolutionized fashion, as well as industrial applications of chemistry research. Occasionally honored in certain colleges and chemistry clubs, Perkin until now has been a forgotten man. An inviting cocktail of Perkin biography, account of the dye industry and where it led, and social and cultural history up to the present. The Member Gallery Book Club meets from 6:00-8:00 p.m. on the third Tuesday of every month. Club members must purchase their own copy of each book, but an active Alliance membership is all that’s required. To become a member, click here.